Your Carpet, A Health Danger? How can your carpet be a health danger, and what are the symptoms? The term Sick Building Syndrome (SBS) has been around for many years. Sick Building Syndrome (SBS) indicates situations where building occupants experience acute health problems. For example, Turn-Key Environmental Consultants has had numerous calls over the years with homeowners complaining of a wide range of symptoms after installing new carpet. These symptoms have included nose and throat discomfort, headache, allergic skin reaction, dyspnea (uncomfortable breathing), nausea, fatigue, and dizziness. Some people love the smell of “new.” That “new car” smell, wet paint, and that piney scent after mopping can bring to mind the feeling of fresh, clean, and even healthy. But when it comes to new carpet, that strong odor could be the smell of trouble. Some new carpets contain VOCs, Volatile Organic Compounds, which emit gases associated with negative health effects. 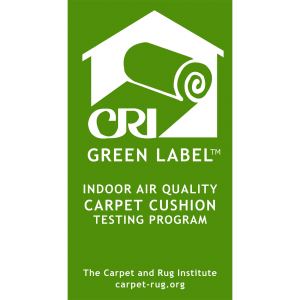 The new carpet odor that people usually smell is a VOC called 4-phenylcyclohexene (4-PCH), which is a byproduct of the latex binder used to secure the “tufted” fibers to the backing. 4-PCH can linger after installation for up to a week, exposing the homeowner to the pungent odor. Additionally, these VOC’s can continue to out-gas for up to 18 months. Many homeowners today aren’t aware of these potential dangers. By installing low-VOC or “eco-friendly” carpets, the homeowner can create a healthier living environment, and still enjoy the comfort of carpet. Air out the carpet before installing. Often your carpet distributor can do this for you before it’s delivered to the job site. Avoid carpet pads that use styrenebutadiene rubber and use felt padding instead. If installation requires gluing down the carpet, use low-emitting, non-solvent adhesives. Increase ventilation. This can be done by opening the windows and doors to provide fresh air from the outside.